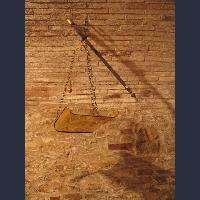 Libra with one plate used in the trade but specifically by butchers. 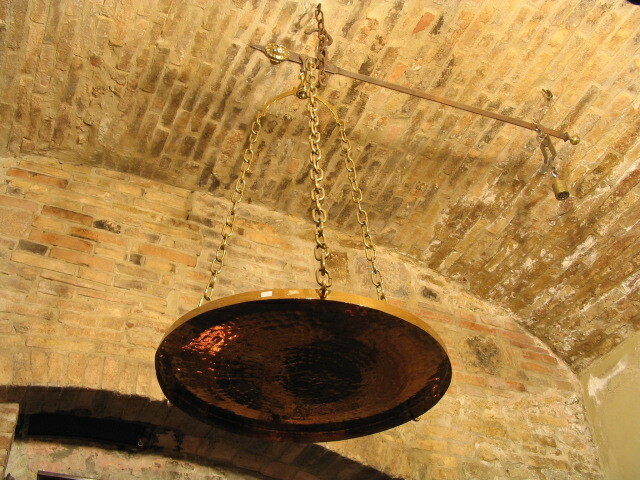 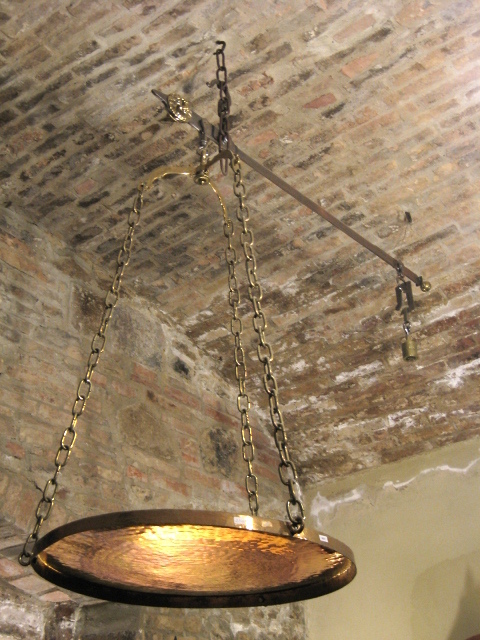 The scale has a brass plate with a diameter of 70 cm and a wrought iron rod. 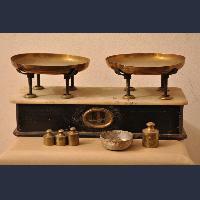 The scale on one hand has a brass knob and on the other a lion's head. 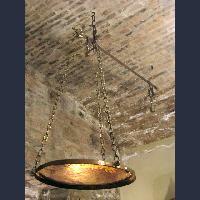 The weight ( called il romano ) of the scales is in brass with iron hooks.